Aside from the individual stocks and REITs (Real Estate Investment Trusts), one of the other more popular investment vehicles among the retail investors is ETFs (Exchange Traded Funds). As the name implied, ETFs are investment funds that are traded on stock exchanges by producing returns that track/replicate the performance and composition of a specific index such as stocks or commodity. If you like to know more about ETFs, check out MoneySense' coverage here. 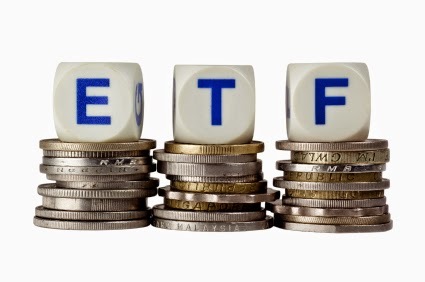 There are 89 ETFs listed in Singapore Exchange (SGX) and two of the more popular ones are SPDR Straits Times Index ETF and Nikko AM Singapore STI ETF which track the STI performance. At the moment, only 9 out of the 89 ETFs are classified under Excluded Investment Products (EIPs), which means investors can invest these 9 ETFs without needing to take any prior assessment. The balance 80 ETFs are classified under Specified Investment Products (SIPs), which means investors who wanted to invest in SIPs had to be assessed by the broker firms or bank. Soon, this is set to change as MAS (Monetary Authority Of Singapore) is in the midst of relaxing the rules of ETFs i.e. more ETFs are expected to be classified under EIPs and hence more ETFs will be accessible by the retail investors. According to the report in yesterday's Sunday Times, MAS is expected to announce the changes this week. On the personal front, I am looking into Dollar Cost Averaging investment in STI ETF via Maybank's Monthly Investment Plan (currently pending for their approval of my account application). Can u suggest me, if I can invest on shares.